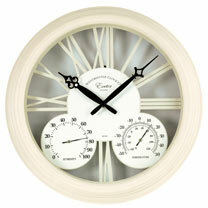 Smart garden cream wall clock & thermometer. Tell the time and add some style to your outdoors with this stunning piece. 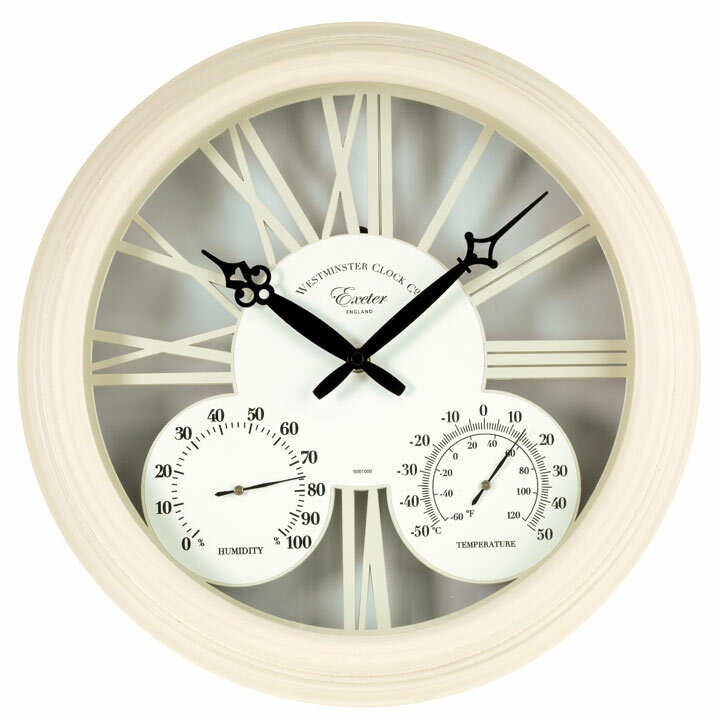 Classically styled, it also has a built-in thermometer so you can tell how warm or cold it's getting in your garden or yard. 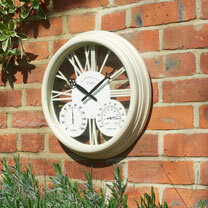 This attractive clock has a cream finish and is perfect for outdoor or indoor use and is also weather resistant. 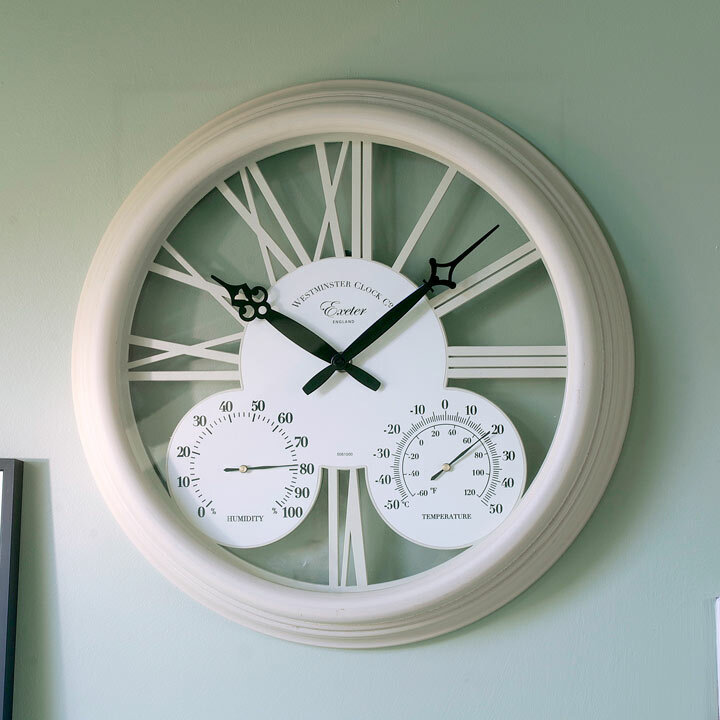 38.5 x 5.5 x 38.5cm.